Welcome to Suprima Cosmo Tech. 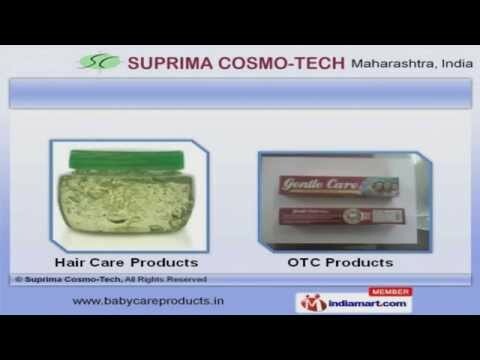 Manufacturer and Exporter of Baby and Personal Care Products. The Company was established in 2001, at Mumbai, we are an ISO 9001:2008, NSIC and US FDA certified company. We are a Member of CHEMEXCIL. Large production capacity, Client friendly payment options and qualitative packaging make us the first choice of our clients. We offer a diverse range of Baby Care Products, Powders and Skin Care Body Lotions. We have in stores an impeccable gamut of Skin Care Jelly and Bath Soaps for our valued clients. Hair Care and OTC Products offered by us are some of our best selling products. Our Washing Products and Gripe Waters are available at affordable prices. We are specialized in offering Aromatic Oils and Herbal Inhalers. Along with that we offer a qualitative range of Face Scrubs and Non Basmati Rice.